For some people with a dental appointment also comes anxiety, feeling tense, worried or on edge. These can all also lead to sudden panic attacks, which can lead to cancellation of your appointments. Alpha-stim is a small, simple but effective device that can allow you to feel more relaxed before and during your dental appointment. It actually works by applying a clip to each of your earlobes and uses a small pulse that allows you to feel more mellow, heavy and relaxed. It uses proven, safe and effective Cranial Electrotherapy Stimulation (CES) technology to reduce anxiety symptoms, with no lasting side effects. The waveform passes between two electrodes that clip on to your earlobes, sending a signal to your brain that provides anxiety therapy and treatment without medication. 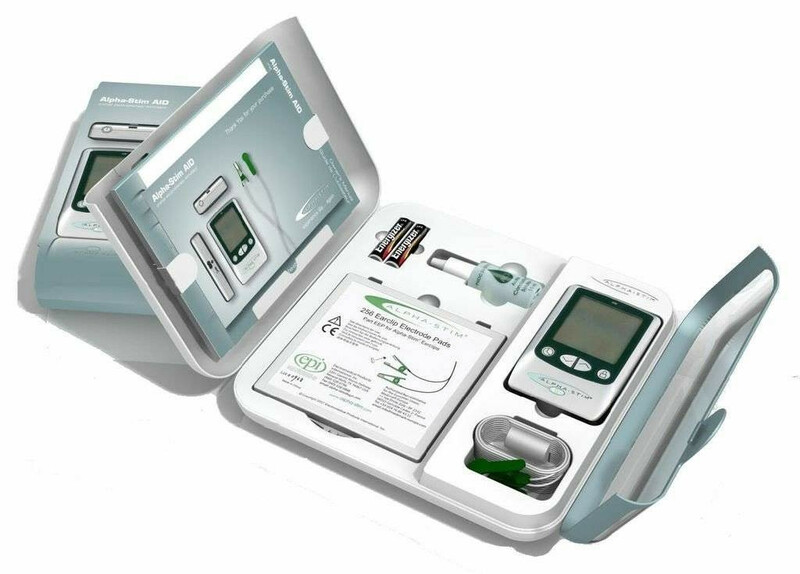 The device is applied 20 minutes prior to your appointment and is usually kept on for the duration of the appointment. Many of our patients have come to really like this simple but effective support to make the whole experience that little bit easier.